Like a lot of creatively restless high-schoolers in the late '70s and early '80s, Ben Stiller was in a band — in this case, a weird and funky post-punk band called Capital Punishment. Now that Stiller is a movie and TV star, Capital Punishment's one and only album, 1982's Roadkill, is getting its first-ever major reissue on Sept. 14. 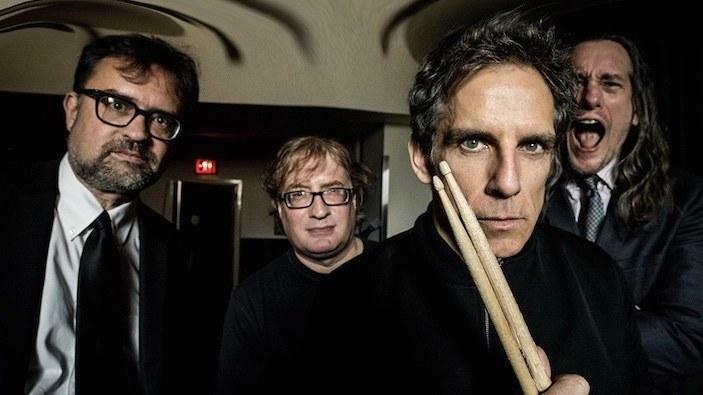 Stiller was the band's drummer, as evidenced by the circa-now press photo, in which the foregrounded star clutches a pair of drumsticks. But he's not Capital Punishment's only notable member: One, Peter Swann, now sits on the Arizona Supreme Court, while Peter Zusi is a professor of Slavic studies and Kriss Roebling is a musician and documentarian. The music itself — as heard in "Muzak Anonymous" — is both of its time and defiantly strange. Inspired by bands like Can and Throbbing Gristle, Capital Punishment conjured something dizzy and warped, and worth hearing even if its rhythm section didn't include the future star of Night at the Museum. Roadkill comes out Sept. 14 via Captured Tracks.